Boulder Media has announced that Tim Allen will be giving a Special Masterclass at the Dublin Animation Film Festival in Dun Laoghaire. A stop motion animator for 18 years, Tim Allen was a key animator on Wes Anderson’s latest film ‘Isle of Dogs’. His other credits include ‘Fantastic Mr Fox’, Tim Burton's ‘Corpse Bride’, ‘Frankenweenie’, Academy Award winning ‘Peter and the Wolf’ and the Oscar nominated ‘My Life as a Zucchini’. Tim’s TV credits include ‘Fireman Sam’, ‘Postman Pat’, ‘Shaun the Sheep’ and ‘Creature Comforts USA’ for Aardman Animations. Tim was Animation Supervisor on ‘The Magic Piano’ and the stop motion ‘Club Penguin’ specials for Disney. “Boulder Media are committed to supporting new talent and we look forward to welcoming Tim to Dublin. This workshop is designed for both second level and third level students with the tools to build a successful career in animation and the team at Boulder are keen to encourage these events that will assist the new talented animators that are emerging in the industry. Boulder Media is an Irish animation company based in Dublin. The company was established in 2000 and since then has grown to become one of Ireland’s largest animation studios. Boulder has been successful in attracting high profile projects from across the globe and has worked with leading broadcasters such as Nickelodeon, Cartoon Network, BBC, Disney UK and US. In 2016 the studio was acquired by Hasbro Inc., and is currently working on ‘Transformers’, ‘Rescue Bots Academy’, ‘My Little Pony’ along with continuing to work with BBC on ‘Dangermouse’. 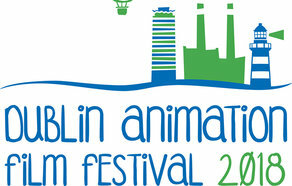 The Dublin Animation Film Festival began in 2011 as a one-day event. Currently in its 8th year, the festival this year takes place October 26th and 27th. The masterclass titled ‘Starting your Career in Animation’ at the DLR LexIcon at 11am on Friday, 26th October. Tickets for the masterclass are free, however must be pre-booked. Click here to book tickets for the event.